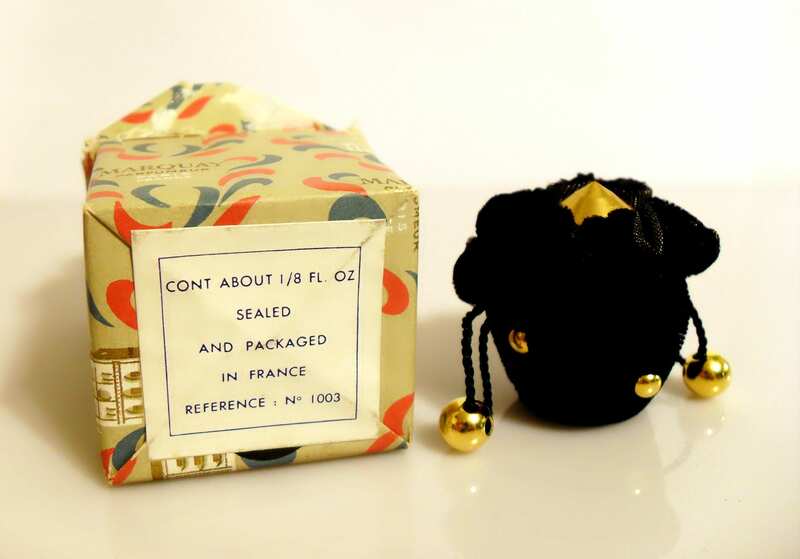 Vintage Perfume 1940s L'Elu by Marquay 1/8 oz Pure Parfum in Velvet Pouch with Box. The bottle is full of the perfume. The bottle was still sealed with its wrapping paper, but I opened it to see how much perfume was left in the bottle. 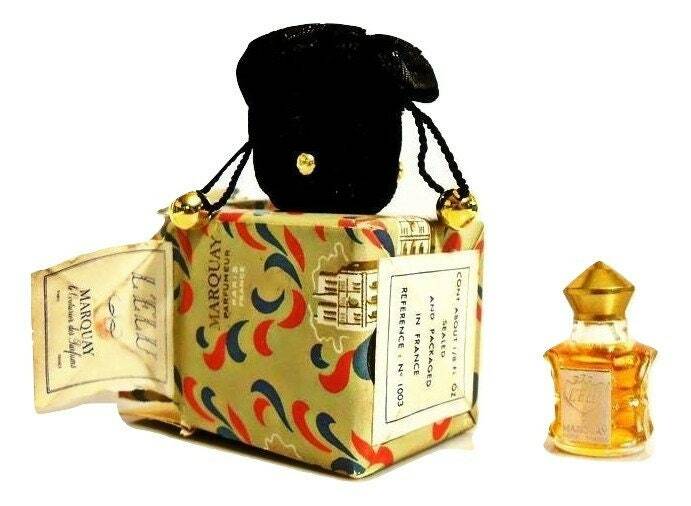 The perfume is old and is no longer fresh. 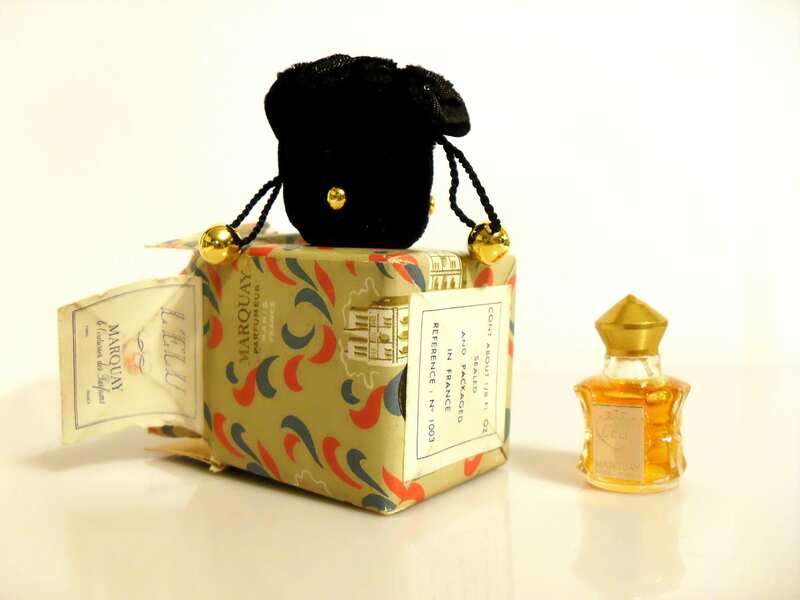 It comes with its cute black velvet drawstring pouch and tissue paper. 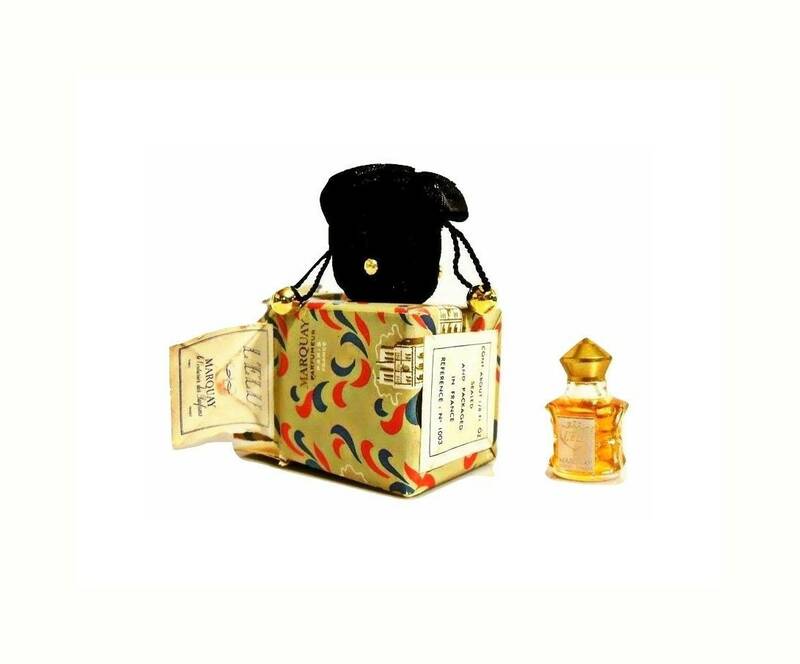 Like other Marquay perfumes, L'Elu was housed inside of a squat octagonal clear glass bottle molded with indented curves, topped by a diamond cut stopper, sometimes gold plated. 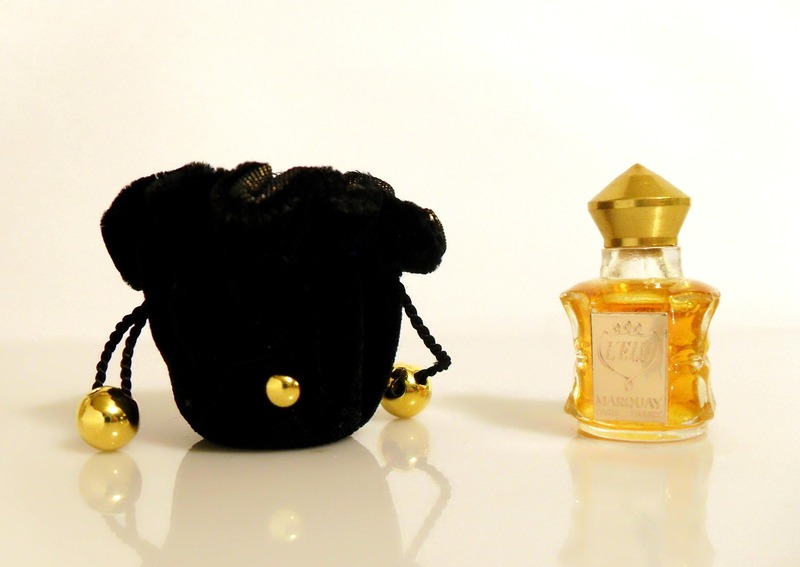 These little bottles were presented inside small dainty drawstring pouches of velvet or brocade. 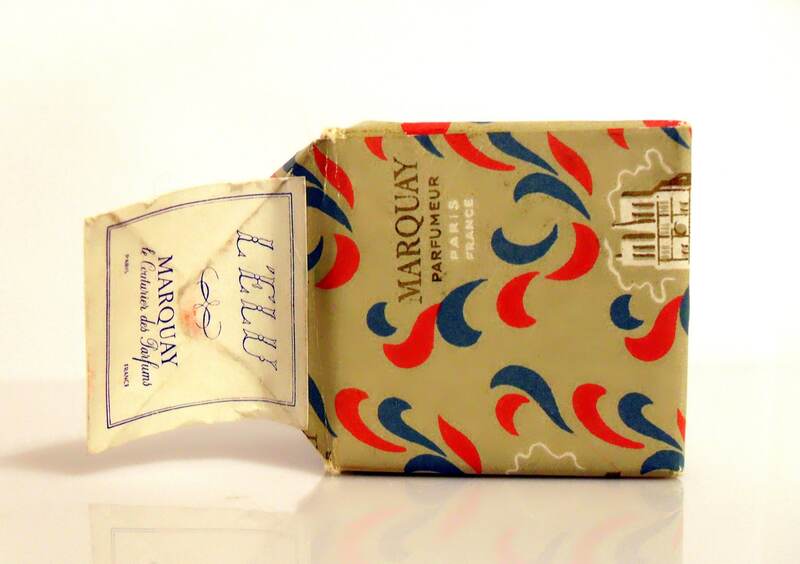 L'Elu by Marquay was launched in 1946. The name means "The Chosen". 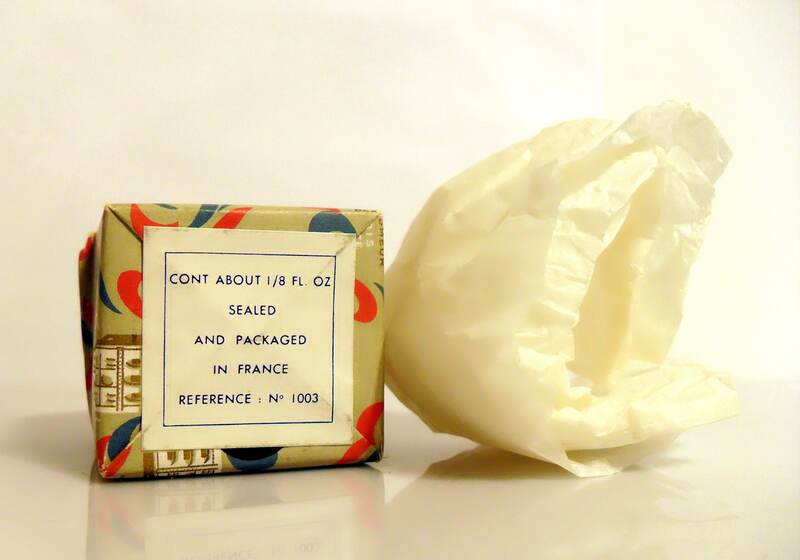 It is classified as a chypre fragrance for women with a distinctive jasmine note, neither too flowery nor too spicy. 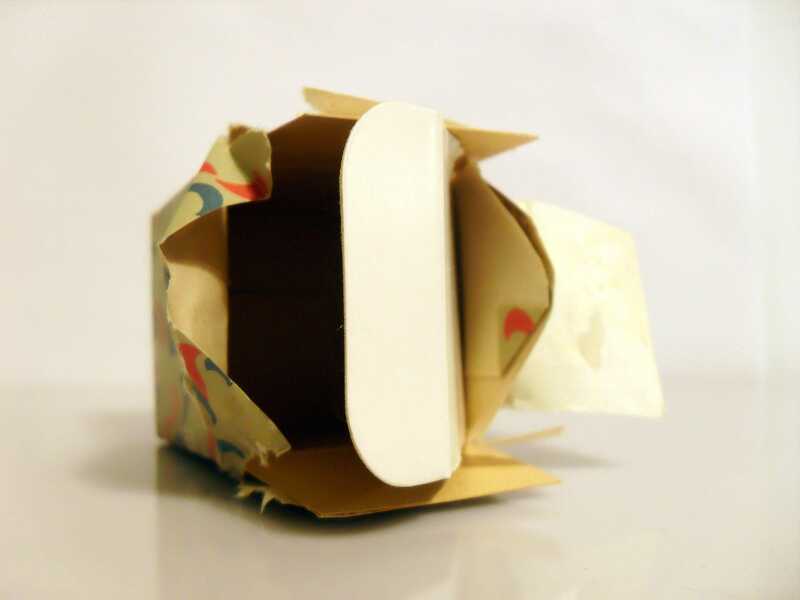 It has been discontinued since the 1960s.